Hanoi (VNA) – Car sales in January 2018 dropped 7 percent from December 2017 but rose by 28 percent from the same period last year to 26,037 units, according to the Vietnam Automobile Manufacturers’ Association (VAMA). In January, 18,371 passenger cars were sold, up 25 percent month on month, while the sales of commercial and special-purpose vehicles respectively fell 38 percent and 78 percent to 7,363 and 303 units. Although 20,586 vehicles assembled domestically were sold, up 3 percent, the sales of imported completely built-up units (CBUs) were 5,451 units, down 30 percent from December. Insiders attributed the sales decline, especially of the CBUs, which was contrary to the usual strong sales growth at the end of a lunar year, to new business conditions relating to the auto market that took effect in the beginning of 2018. When the import tariff on CBUs hailing from ASEAN countries was reduced to zero percent on January 1, a number of regulations tightening car production, import and business conditions and restricting the import of used cars also came into force. 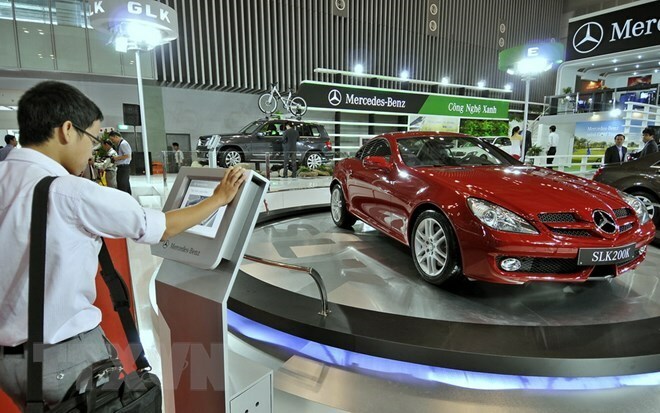 As a result, prices of both new and used cars imported into Vietnam were augmented considerably, crashing domestic consumers’ expectation of a price nosedive.